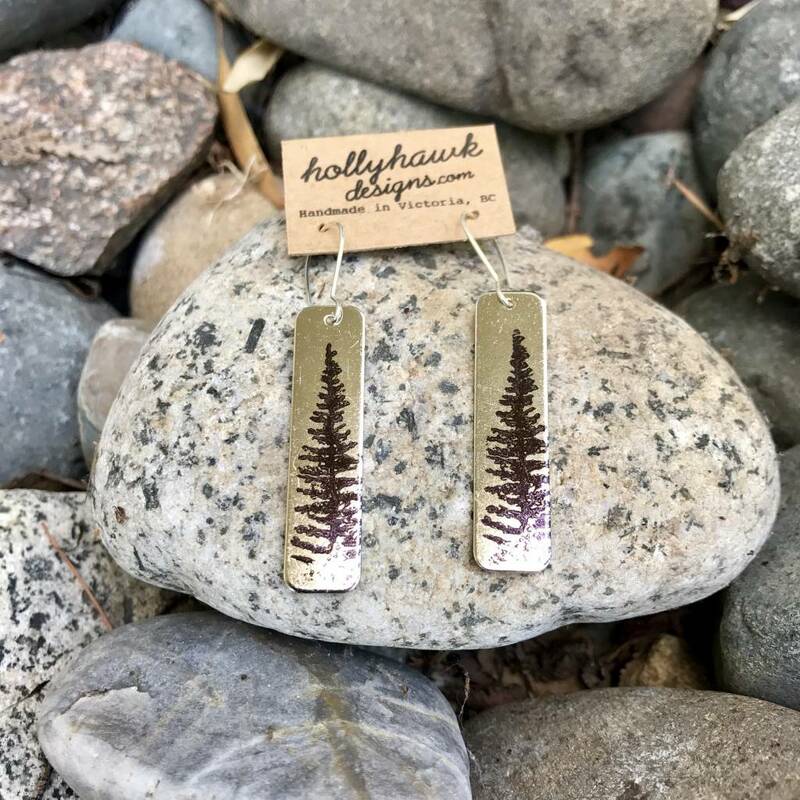 Vintage style pine earrings in silver by Hollyhawk Designs. 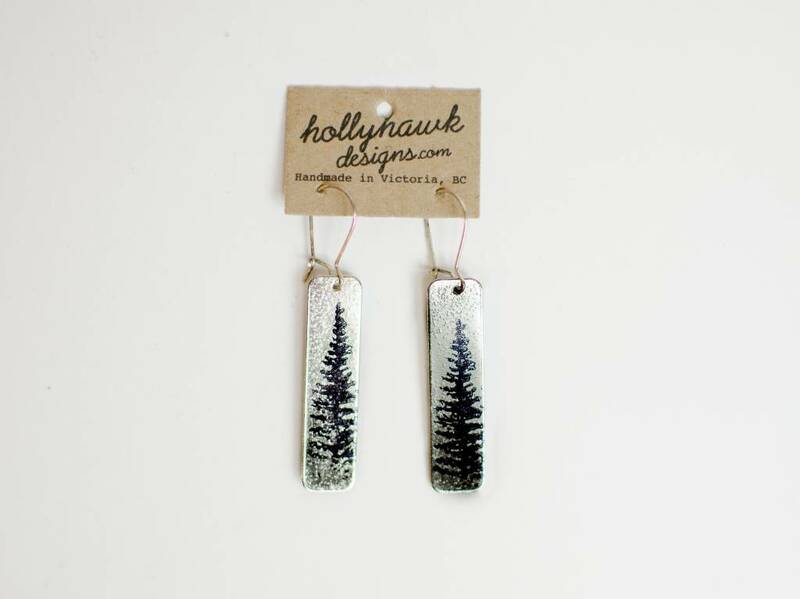 The vintage look of silver tone is paired with the elegant silhouette of a pine tree on these light weight earrings. 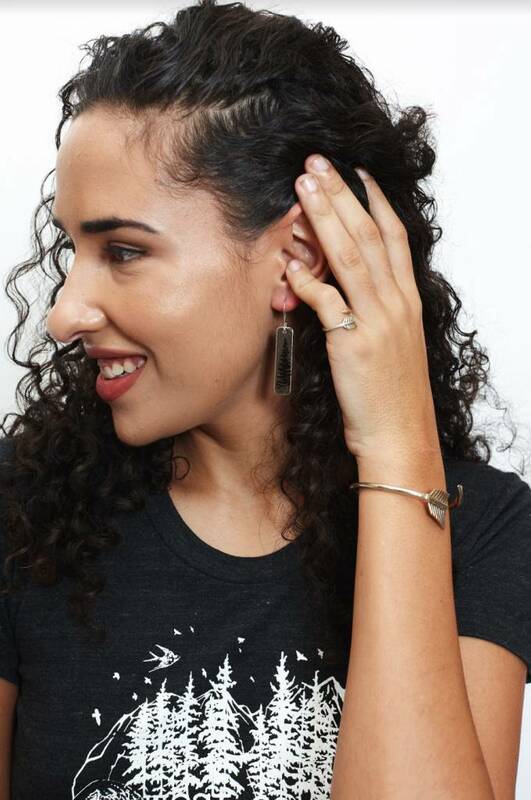 Each earring is 2" in total length, including kidney wire ear hooks, and made of silver, with a hand printed design using indelible ink and a durable finisher. Handmade by Hollyhawk Designs in Victoria BC, Canada.